StageArt is thrilled to announce the cast for the Australasian premiere of the Tony award-winning Memphis the Musical, which will play at Prahran’s Chapel off Chapel from 6 October 2017. Memphis is about a white radio DJ who wants to change the world and a black club singer who is ready for her big break. It is an incredible journey to the ends of the airwaves – filled with laughter, soaring emotion and roof-raising rock ‘n’ roll. This racially explosive story transports audiences back to Memphis in the 1950s, when rock ‘n’ roll was about to take over the world, when people were screaming for social progress, and when falling in forbidden love was not just frowned upon, it was a crime. Making his directional debut is Dean Drieberg, an in-demand creative with over two decades of experience in theatre, advertising, film and fashion. Musical direction will come from Nathan Firmin (The Full Monty) and choreography by Kirra Sibel. Executive Producers of the show are StageArt co-founders Katherine Armstrong and Robbie Carmellotti. “It is a huge honour to have the opportunity to premiere this powerful show to Australian audiences. 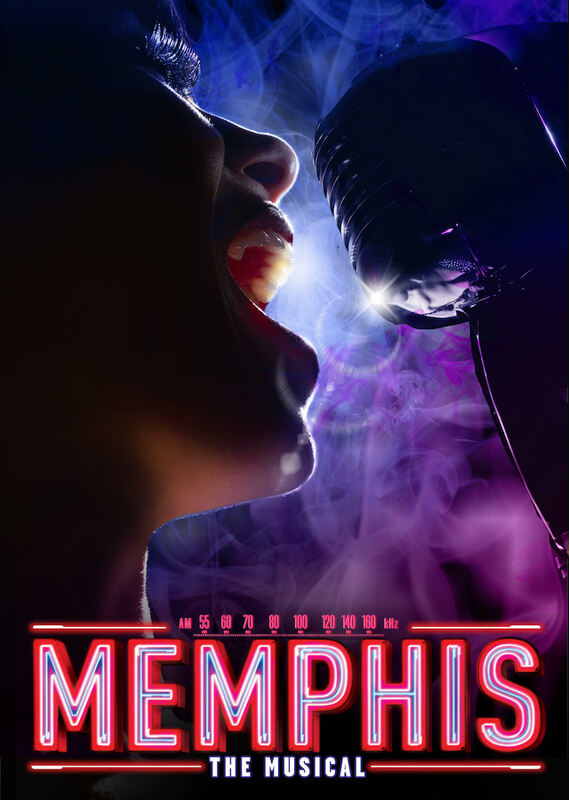 Memphis is a thrilling and emotional journey and will showcase a diverse cast of local talent. This will be a completely original production, maintaining the same energy and excitement of the original Broadway production but giving audiences a more intimate experience of the story, which is loosely based on true events in the harsh reality of segregation in the 1950s,” says director Dean Drieberg. James Elmer (ABC 3 and MTV host) leads as ambitious young DJ Huey Calhoun, who is passionate about African-American rock ‘n’ roll music and is determined to bring it to a mainstream audience. He starts to fall for the incredibly talented and beautiful star on the rise, Felicia, played by Elandrah Eramiha-Feo (In the Heights). Felicia’s protective older brother Delray, owner of an underground black rock ‘n’ roll bar, is played by Iopu Auva’a (The Color Purple, Dreamgirls). Mandi Lodge (Shirley Valentine, Always… Patsy Cline) will star as “Mama” Gladys Calhoun, Huey’s tough and hard-working mother. Isaac Lindley (RENT, Our Country’s Good) will play Gator, a very attentive (but mute) bartender at Delray’s Beale Street Club and Nik Murillo will play Bobby, who frequents the club and works as a janitor during the day. Greg Pascoe (Les Miserables, Into the Woods) will play Mr Simmons, the owner of radio station WHDZ, who begrudgingly gives Huey his big break. The cast is rounded out with a stellar ensemble, comprising Lucas Biondo, Wem Etuknwa, Lachlan Nash, Callum Warrender, Tanisha Buhanec, Agnes Fifita, Jason Yang-Westland, Tsungirai Wachenuka, Bianca Bruce, Laura Greenhalgh and Stephanie Marion Wood. Memphis is a 2009 Broadway musical with music and lyrics by David Bryan (the keyboardist of Bon Jovi) and lyrics and book by Joe DiPietro. It is loosely based on the story of Memphis disc jockey Dewey Phillips, one of the first white DJs to play black music in the 1950s. The production won four 2010 Tony Awards, including Best Musical.